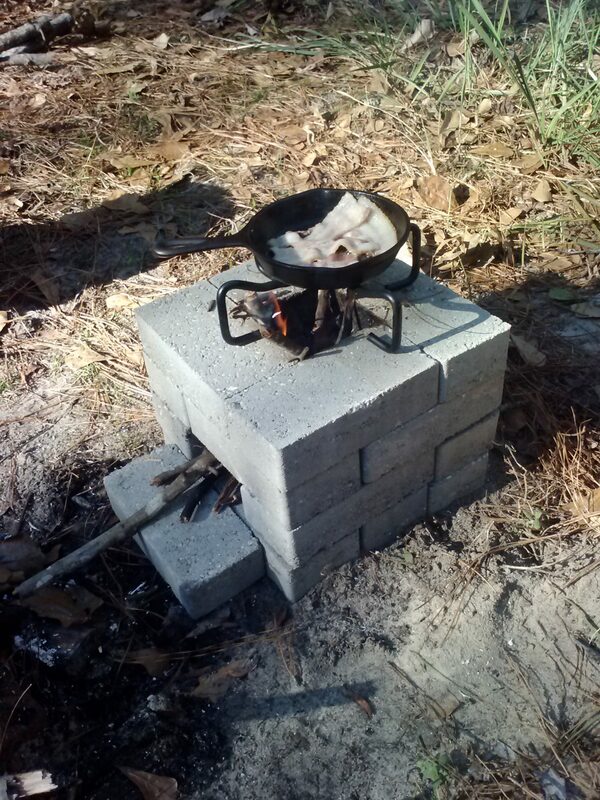 Thanks to TheSurvivalMom for her support over the years and for helping me to put together projects like the Rocket Stove Breakfast described below. Using Leon’s instructions, the 16-brick stove was easily constructed. 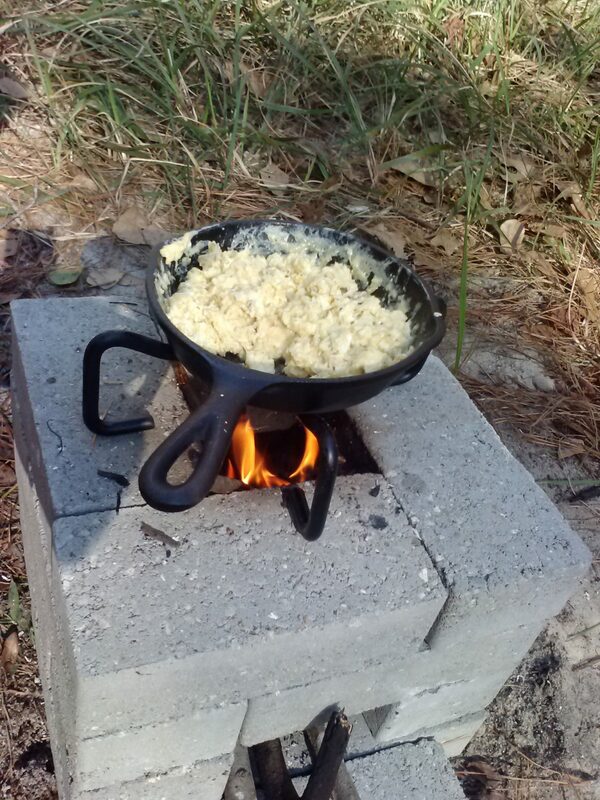 I chose to add a Dutch Oven lid stand so that I could cook breakfast for my little boy. 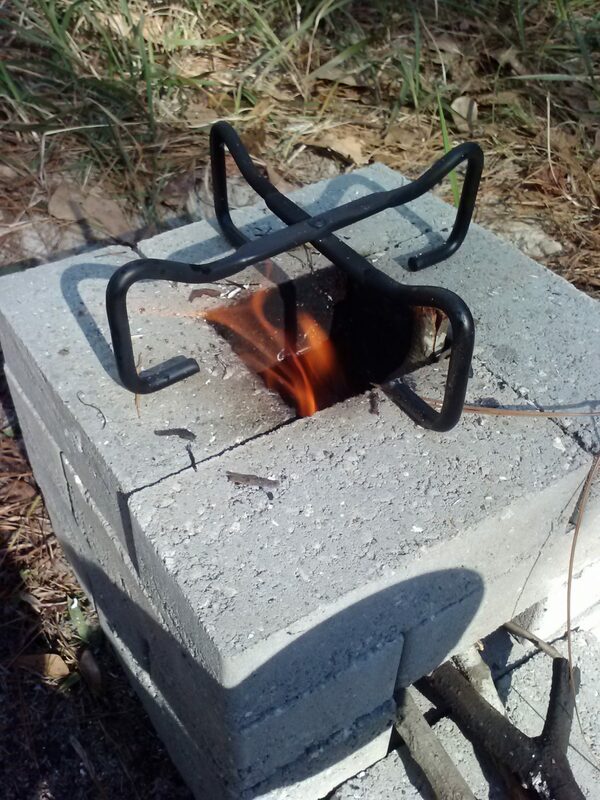 The stove surprised me by producing a large amount of heat using tiny pieces of fuel! Mom’s small, seasoned cast iron skillet was a perfect fit for the amount of food I had in mind, and it quickly heated up. 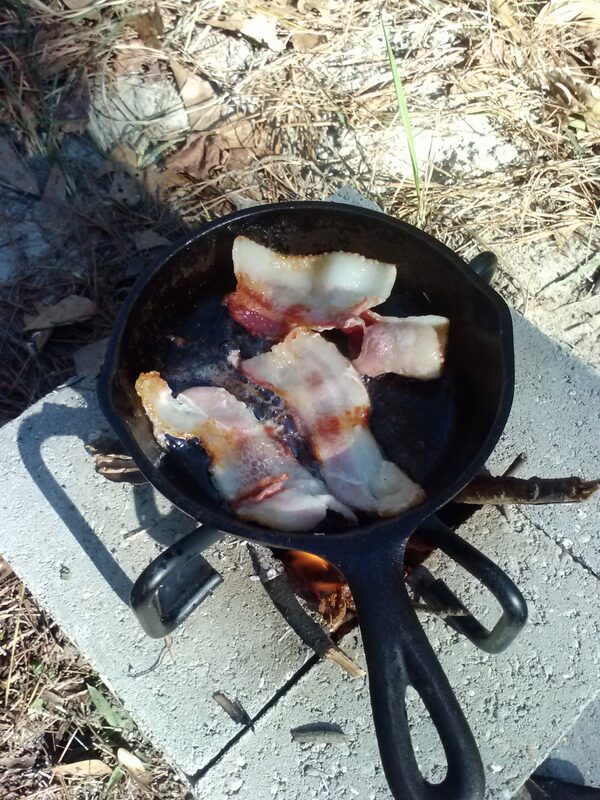 With only a few handfulls of twigs and small branches, we had enough heat for bacon AND eggs! We had so much fun with this little stove that we are now making a list of other simple things to try: coffee, hot chocolate, chili, etc… My son loves this, and we strongly recommend it for a family weekend project that is easy on the wallet and will last for a long time!